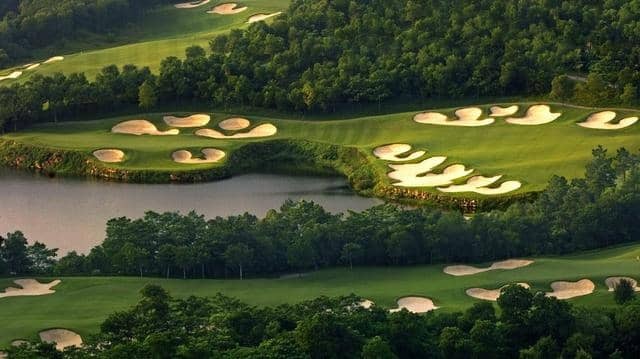 Novotel Vines Resort and Golf Club has signed a reciprocal agreement with Mission Hills Golf Club in China – one of the most well renowned cluster of golf courses in the Asian region. The Vines is the only Australian Golf Club that has the exclusive reciprocal agreement with all these seven courses, namely Leadbetter, Rose-Poulter, Annika, Els, Faldo, Ozaki & Vijay. Recognised by the Guinness Book of records as the largest golf course in the world with the 20 km sq. complex featuring twelve 18 hole courses, the Vines Resort Golf Club Members will be able to play for free when they visit Mission Hills. These courses have all been designed by golf’s greatest legends and architects. As a result, Mission Hills is well established as the “cradle of golf” in China and also hosts The World Cup of Golf and the Asian Amateur Championship. All players are welcome to stay in-house at the magnificent Mission Hills Resort Hotel and enjoy the fantastic facilities available to Vines members. In addition to having access to the seven golf courses, Vines members golf clubs can fly for free and enjoy a generous baggage allowance of 2 bags up to 23 kg each (46kg total) in economy with China Southern Airlines, via Guangzhou. Flying three times a week on Wednesdays, Fridays and Sundays, China Southern has been locally training their pilots in Perth for the past 15 years, and offer the only direct flight to China from Perth.